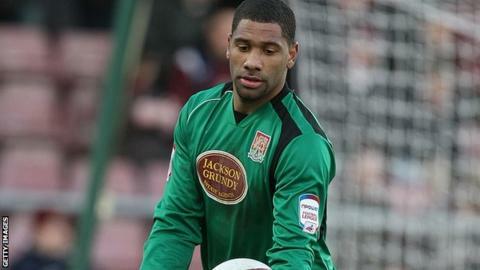 AFC Telford United have signed Bermuda goalkeeper Freddy Hall from high-flying Conference North side Oxford City. Hall, 29, who came to English football with Northampton Town three seasons ago, spent the final two months of last season on loan at Burton Albion. He then started this season at Chester, conceding eight goals in four games. Having been coached at University in the United States by former Newcastle United and West Ham United keeper Shaka Hislop, Hall also played Major League Soccer with Toronto in 2011-12. But Chester released him in the final week of the summer transfer window, opting to bring in Wales Under-21 keeper Connor Roberts instead. Hall has since spent the last month with Oxford, making one appearance. Telford, promoted back to the Conference top flight in April, have shipped 37 goals in 15 games this term - the highest total conceded in English football's top five divisions. Hall is the Bucks' second signing of the week, having brought in Luton Town defender Andy Parry, who made his debut in Tuesday night's 1-0 home defeat by Forest Green.